About Us - Rayglen Commodities Inc. Founded in 1993, Rayglen Commodities Inc is a grain brokerage and consulting firm based in Saskatoon, SK Canada. Our company consists of, an operations group with knowledgeable, motivated merchant brokers and agent brokers in the farming community. This is backed with a strong and responsible administration staffed with a CPA and support staff. With our very significant buyer database our seller clients receive the best deal. 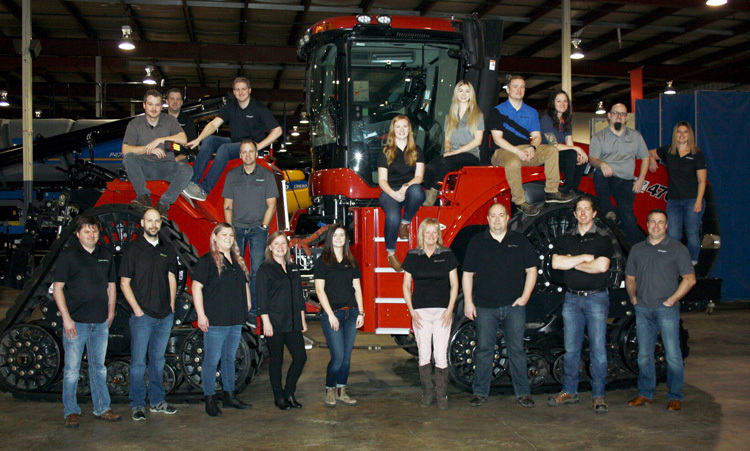 On the other hand with our many seller clients in western Canada and the United States combined with our top notch technology, our buyers quickly receive the volume and quality they need to fill their orders. In 2004 we added a subsidiary, Rayglen Consulting Services, to help selected farmers in the merchandising of their grain inventory. To become and maintain the level of first choice grain broker and consultant for most grain producers. To continue to be the first choice grain originator for our buyers and their end users. As an independent company we will supply the ideal price discovery vehicle and trading platform for Sellers and Buyers of most grain commodities in Western Canada and the North-central states. A website based grain inventory management system and a crop planning service for our farmers. For selected clients, an interactive consulting service to ensure their viability and as well their increased return by good planning and creative, timely merchandising. A logistics capability that can give our clients a merchandising edge and is backed by sound technology and years of freight experience. A classified section where all visitors can list their grain commodities, seed, buildings, equipment, etc. Grain producers with processors, end users, good seed suppliers, other grain producers, domestic and world grain traders, Carbon Credit traders, etc. Grain buyers with the specific quantity, quality, other grain buyers, and logistics for the right commodity they need. Truckers with the loads they need and back-hauls to minimize seller and buyer costs. Is based on the best communication technology available, that delivers to us daily the many reports with data from most of the world’s grain trading centers, giving us up to the minute advice on price trends, weather changes and the many political influences that affect the values we offer. When you add excellent trained staff from our many years of combined grain trading experience our clients receive the very best information. We will do our very best to make each of your business transactions with us, very pleasant ones!